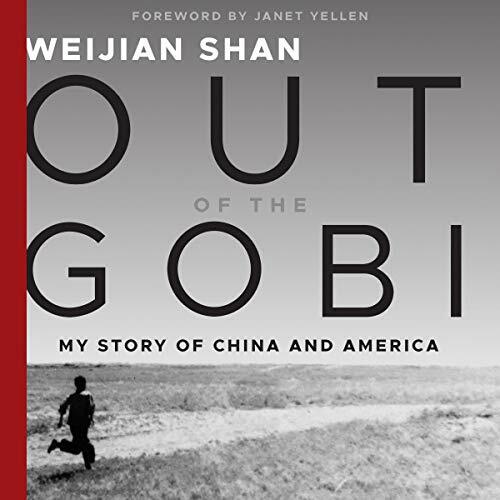 Showing results by author "Shan"
Weijian Shan's Out of the Gobi is a powerful memoir and commentary that will be one of the most important books on China of our time, one with the potential to re-shape how Americans view China, and how the Chinese view life in America. 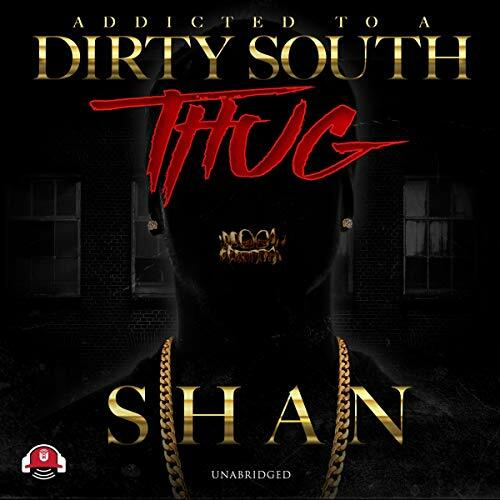 Shan, a former hard laborer who is now one of Asia's best-known financiers, is thoughtful, observant, eloquent, and brutally honest, making him well-positioned to tell the story of a life that is a microcosm of modern China, and of how, improbably, that life became intertwined with America. 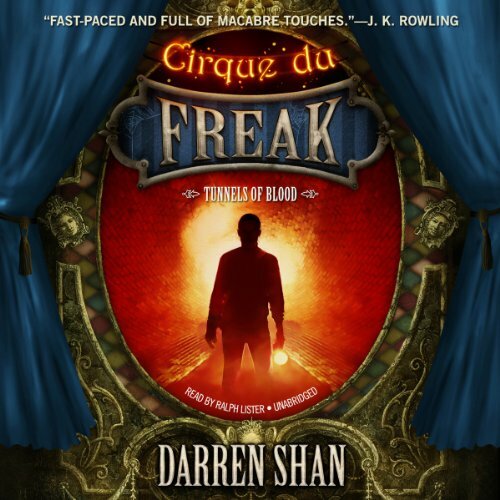 Darren, the vampire's assistant, gets a taste of the city when he leaves the Cirque du Freak with Evra the snake-boy and Mr. Crepsley. 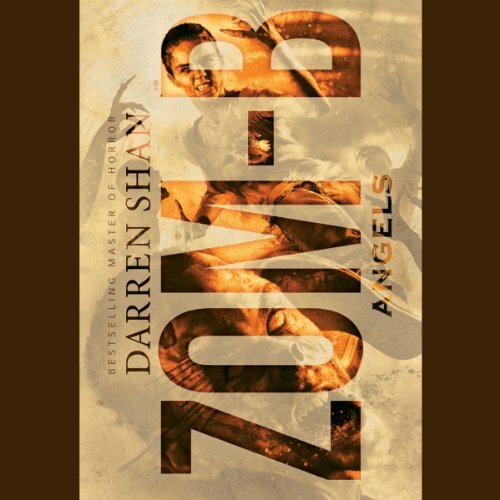 When corpses are discovered - corpses drained of blood - Darren and Evra are compelled to hunt down whatever foul creature is committing such horrendous acts. Meanwhile, beneath the streets, evil stalks Darren and Evra, and all clues point to Mr. Crepsley. Can they escape, or are they doomed to perish in the tunnels of blood? 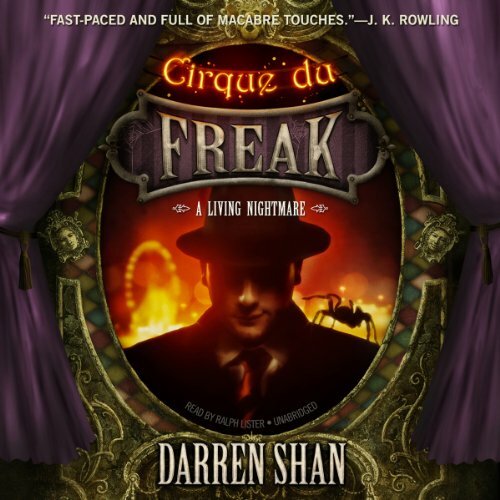 The nightmare continues for the new vampire's assistant in the second installment of the New York Times best-selling Saga of Darren Shan. 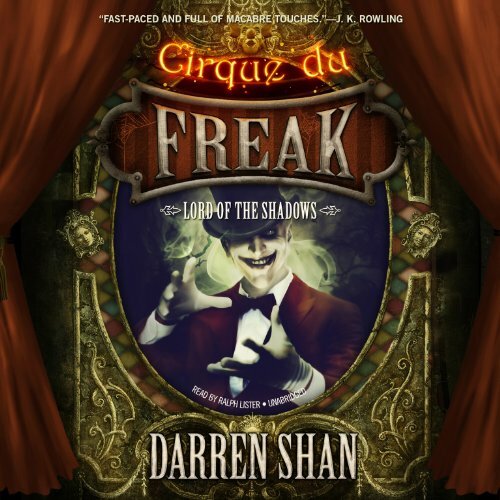 Darren Shan was just an ordinary schoolboy until his visit to the Cirque du Freak. Now, as he struggles with his new life as a vampire's assistant, he tries desperately to resist the one temptation that sickens him, the one thing that can keep him alive. But destiny is calling. The Wolf Man is waiting. 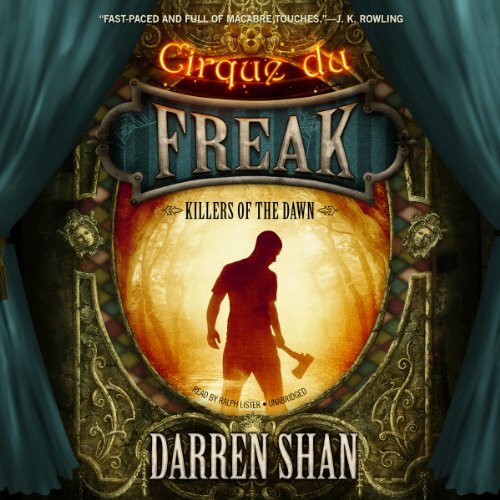 Darren Shan, Vampire Prince and "vampaneze" killer, faces his worst nightmare yet - school. But homework is the least of Darren's problems. Bodies are piling up, time is running out, and the past is catching up with the hunters fast. Darren must forge new alliances and try to unravel the mystery behind the malevolent forces that have been set in motion against him. In this second part of the Hunters trilogy, the stakes are raised and the pace quickens to keep listeners on the edge of their seats. The trials: There are seventeen ways to die unless the luck of the vampire is with you. 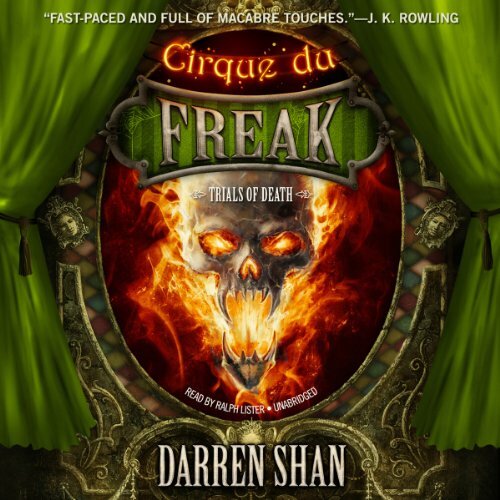 Darren Shan must pass five of these fearsome trials to prove himself to the vampire clan - or face the stakes of the Hall of Death. But Vampire Mountain holds hidden threats. Sinister, potent forces are gathering in the darkness. In this nightmarish world of bloodshed and betrayal, death may be a blessing. 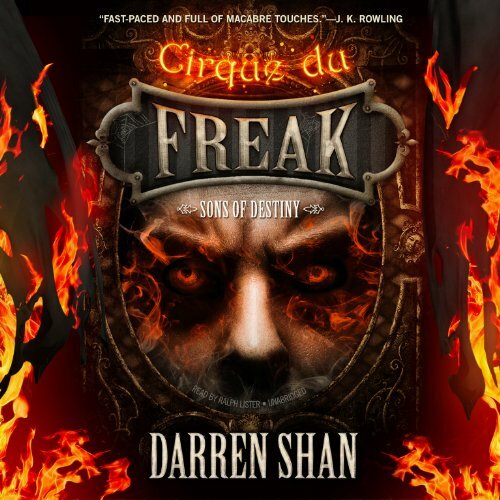 Branded a traitor, betrayed by a friend, hunted by the vampire clan - Darren Shan, the vampire's assistant, faces certain death. And even if he survives Vampire Mountain, an all-out catastrophe is headed his way that threatens the entire vampire clan. 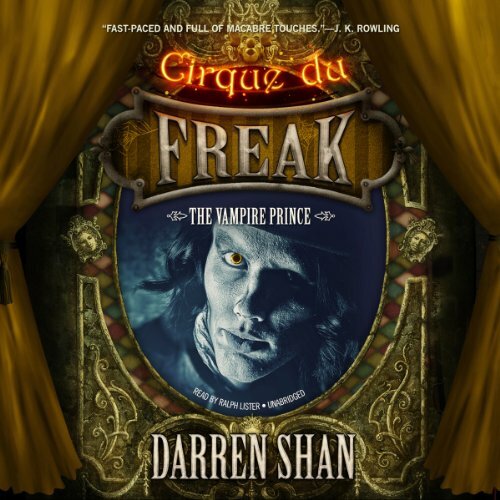 Can Darren reverse the odds and outwit a vampire prince? Can he avert the coming calamity? 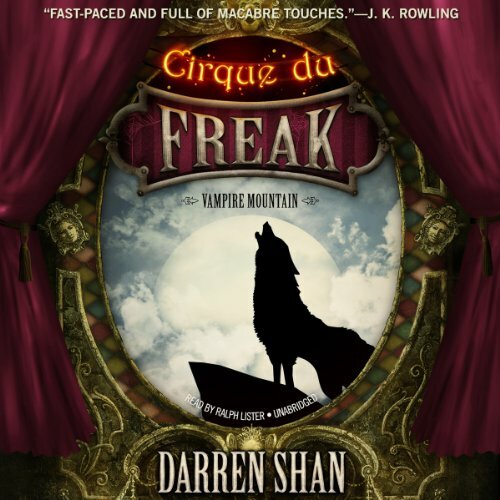 Darren's initiation on Vampire Mountain draws to a stunning, bloody conclusion in this sixth book of the Cirque du Freak series. "If you step through after Harkat, you might never comeback. Is your friend worth such an enormous risk?" 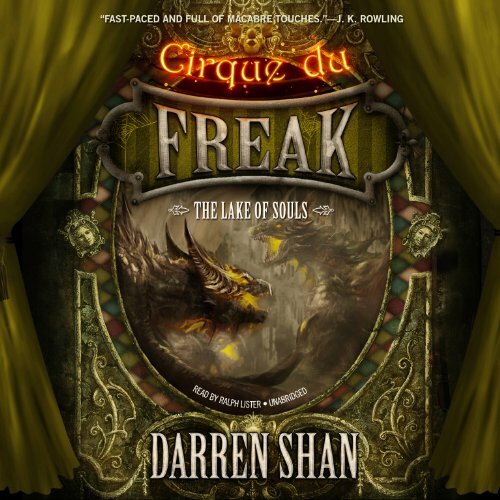 Darren and Harkat face monstrous obstacles on their desperate quest to the Lake of Souls. Will they survive the savage journey full of killer animals, monstrous mutants, and fiery winged beasts? And what awaits them in the murky waters of the dead? The two companions must unravel the riddle of Harkat's identity before they are destroyed. Be careful what you fish for. 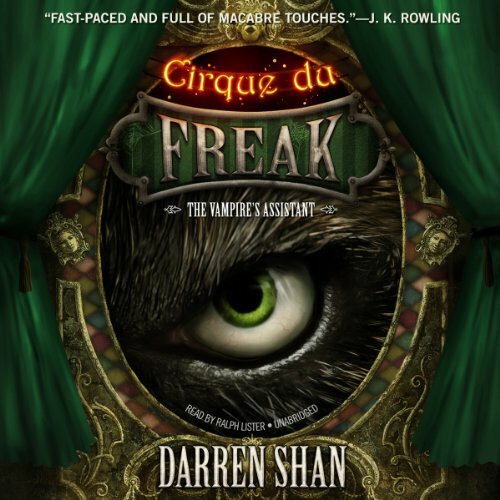 Darren has settled into life as a vampire's assistant and feels at home in the Cirque du Freak. But now he must leave the freak show and his friends behind. With Mr. Crepsley as a traveling companion, he embarks on a dangerous trek to the very heart of the vampire world. But they face more than the cold on Vampire Mountain - the vampaneze have been there before them. Will a meeting with the Vampire Princes restore Darren's human side or turn him further toward the darkness? 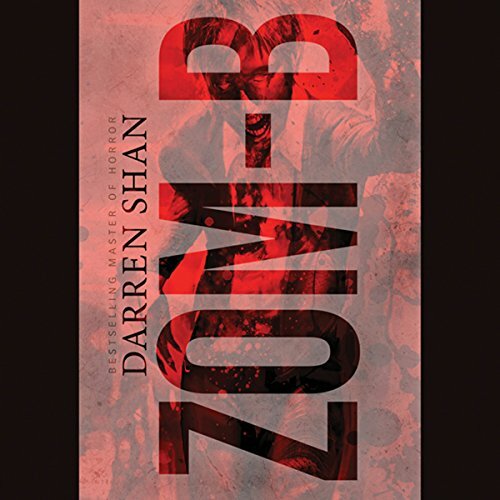 Only one thing is certain: Darren's initiation into the vampire clan is more deadly than he can ever have imagined. The hunters have become the hunted. Outnumbered, outsmarted, and desperate, the hunters are on the run, pursued by the vampaneze, the police, and an angry mob. With their enemies clamoring for blood, the vampires prepare for a deadly battle. Is this the end for Darren and his allies? 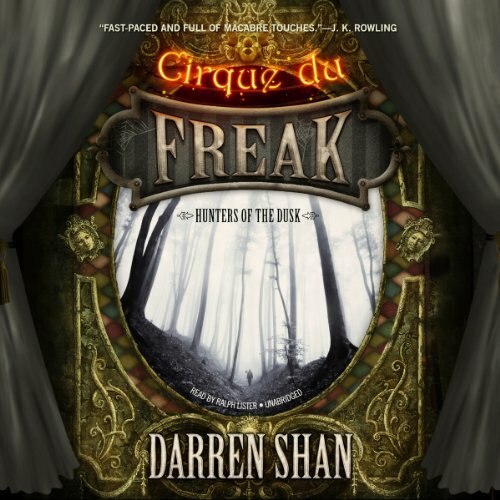 This third and final installment in the Hunters trilogy finds Darren and his friends facing their longest night and most testing challenge yet. Rozalyn McGuay is a simple-minded 15-year-old who thinks life is easy. 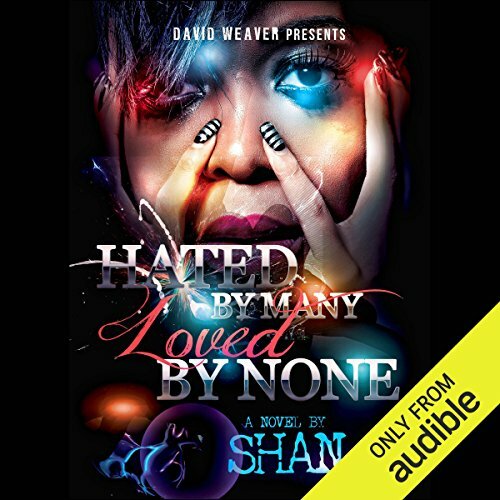 She quickly realizes that life is a force to be reckoned with once she is abandoned by her mother and forced to live with a father who doesn't want anything to do with her. 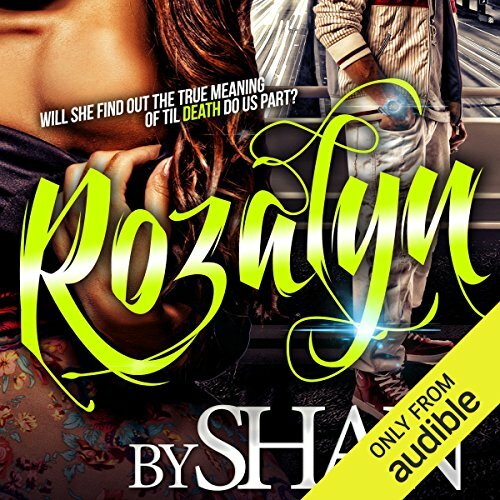 Seeking love, Rozalyn is pushed into the arms of the baddest boy on the block, Tamar Andrews. He shows her there is a thin line between love and hate. Nothing appears to be strong enough to tear her away from Tamar. 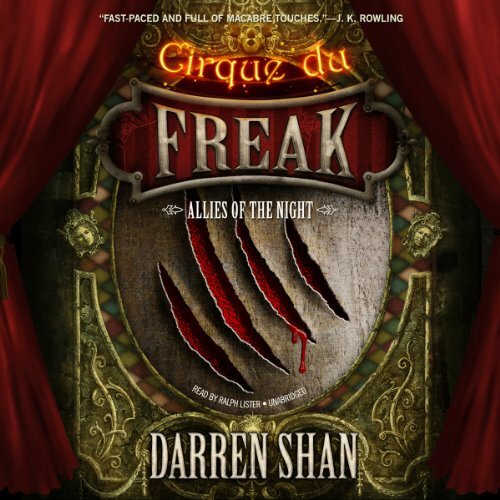 Darren is going back to where it all started, back to where he was reborn as a child of the night. But like Darren, the town has changed a lot over the years. Back home, old enemies await. Scores must be settled. Destiny looks certain to destroy him, and the world is doomed to fall to the Ruler of the Night. 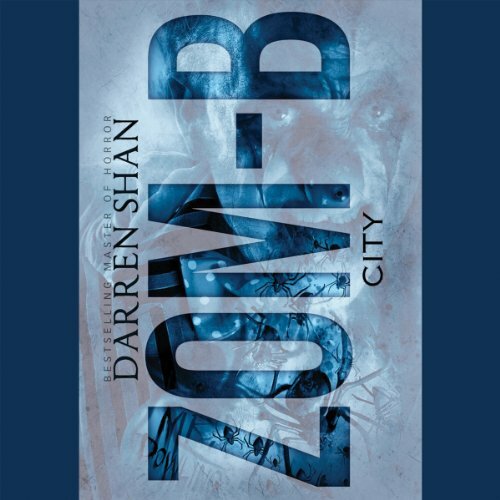 Travel home with Darren in this, the penultimate book in the saga. UTTTER FOOLISHNESS WHERE IS BOOK 12 AH!!!!!! Dead if he loses - damned if he wins. The time has finally come for Darren to face his arch enemy, Steve Leopard, and fight for control of the night. One of them will die. The other will become the Lord of the Shadows …and destroy the world. When news reports start appearing of a zombie outbreak in Ireland, B's racist father thinks it's a joke - but even if it isn't, he figures, it's ok to lose a few Micks. B doesn't fully buy into Dad's racism, but figures it's easier to go along with it than to risk the fights and abuse that will surely follow sticking up for Muslims, blacks, or immigrants. And when dodging his fists doesn't work, B doesn't hesitate to take the piss out of kids at school with a few slaps or cruel remarks. That is, until zombies attack the school. After spending the last few months wandering around London - a city filled with the dead - B Smith has given up hope for any sign of normal human existence. But then B finds strange signs all over the city - a "Z" plus red arrows. Following them, B finds The Angels - a group gathered in the hopes of combating the evil dead and the forces that introduced them. But all is not as it seems and it's up to B to find out: what battle are they truly waging? After escaping a military complex amidst the zombie apocalypse, B roams the streets of a very changed London. Once again, B must find a way to survive amongst brain-eating zombies and those who have seized control of the city. Danger lurks around every corner and there is no one to trust. B is faced with a decision: join the creepy Mr. Dowling in exchange for his protection? Or keep going solo, in a world gone mad with hunger?